Bill Murray has received the National Weather Association Digital Seal of Approval. Bill Murray was factory designed to be a meteorologist. Born with an avid interest in all things meteorological, ironically, he spent the first twelve years of his life scared to death of the weather. That all changed on the night of April 3, 1974, when a total of 148 tornadoes tore across the American landscape. Alabama was one of the hardest hit states in that outbreak, with over 80 people killed. “The night seemed like the end of the world to me,” said Murray. “The next morning, I set out collecting clippings of the event, and have been totally hooked on weather every since. J.B. Elliot was Bill’s mentor in high school Murray spent many of his Saturday mornings as high school student at the National Weather Service office on West Oxmoor Road. A 1980 graduate of Huffman High School, Murray’s scientific claim to fame came when he created a science project that stopped hurricanes. In May 1979, his science project entitled “Using Monomolecular Sea Surface Polymer Films to Suppress Tropical Cyclone Development” went to the 20th International Science and Engineering Fair in San Antonio, Texas where it won several awards. Deciding against a weather career, Murray moved up the ladder with a Birmingham based hotel management company, going from Front Desk Clerk, to President of the company within 13 years. But weather was still a big part of his life. In 1991, Murray was selected to be the weekend meteorologist at WBMG-TV42. He also did a morning weather segment with Bob Gambaccurta on radio station WCEO. He was able to do this until 1996, when he had to quit because of the demands of his hotel job. In 1993, Murray and John Oldshue partnered to create The Weather Source. The company produced a one page weather fax that was marketed to hotels to give to their guests. The program was extremely successful. It was sold to a major private weather forecasting firm in April 1996. In 1998, Murray became involved with a new venture, called The Weather Company, along with James Spann, J.B. Elliott, John Oldshue, David Black and Bill Hardekopf. . 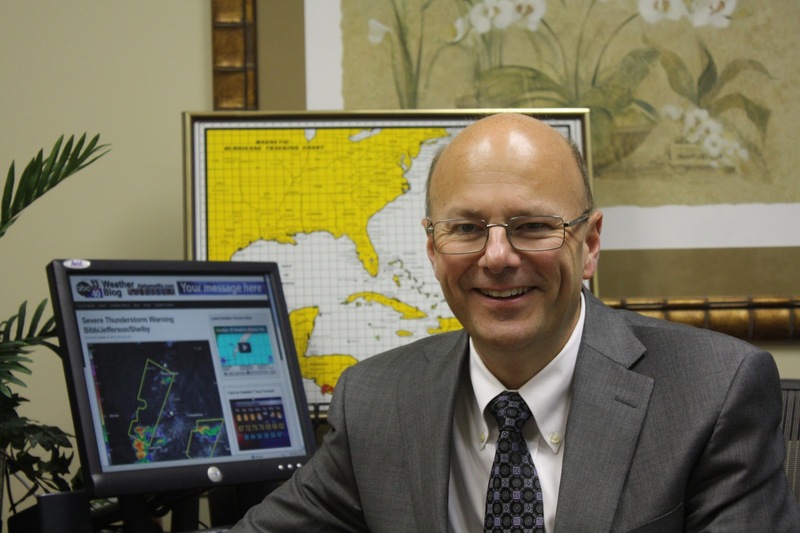 He has been producing weather forecasts for The Weather Company since 2001. The Weather Company changed its name to The Weather Factory on October 22, 2012 after the former names and marks were purchased by another large weather company. Between 2002-2008, Murray produced a weather stories calendar that was picked up for publication by Accord Publishing. Murray also owns a hotel management company that manages 32 hotels across the country from New Mexico to Baltimore. His work with Integral Hospitality Solutions takes him all over the country, which leads to some interesting settings for his forecasts. He has even created forecast packages from an AMTRAK train on several occasions.